This post is mostly about food. I volunteered myself for an event by kemenerian belia or something, Asean Cultural and Food Festival. I was told that the event was part of a three days pre-conference of Asean youth leaders, something like that. For me, it's the food festival that attracted me the most. Took so little pictures and a few selfies. As its name suggest, foods from Asean countries were prepared along with our local food. Well, let me just say that those food are not for my taste bud. 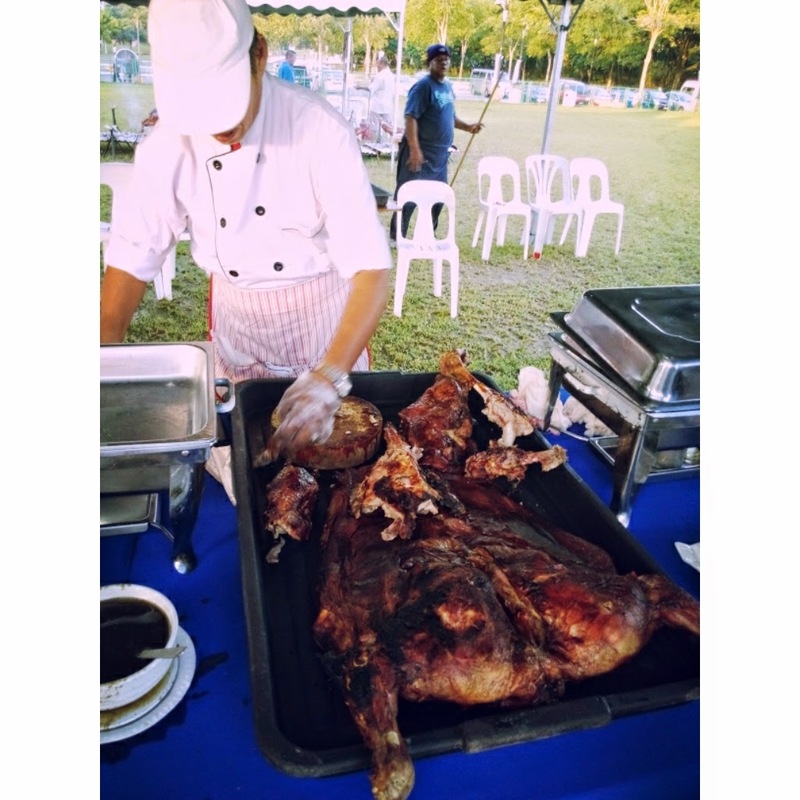 Picture below is one whole Kambing Golek being prepared. As a volunteer, we got to eat all food earlier than visitors since we had to 'work'. Frankly, there were not much works to do, all I did the most was ate, lot of eating involved. And I must say this, our local food are superbly great. Raya Open House! Drove all the way to Shah Alam for a friend's open house. Again, forgot to take pictures, not even one. My friend, she prepared a lot of food, literally a lot. There were Nasi Tomato, Nasi Dagang, Nasi Himpit, Bihun Sup, Laksa and variety of desserts. She even had Kambing Golek as well. Unfortunately, it was gone when I arrived. Kambing kan, siapa tak nak makan? I actually attended a peaceful rally at Taman Tasik Titiwangsa before I went to her house. 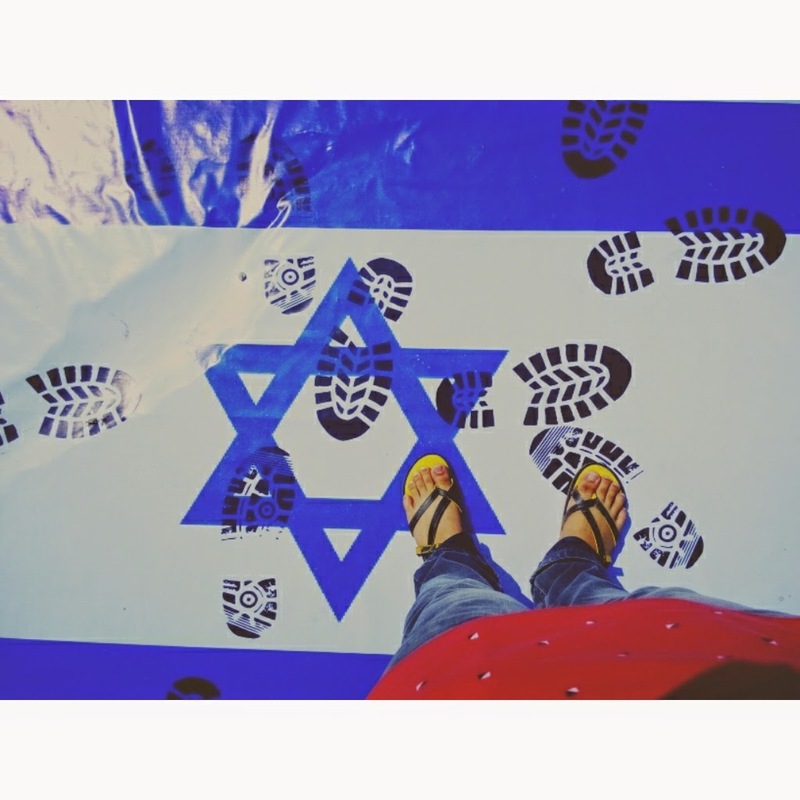 It was Bulan Kemarahan Ummah, a rally condemning Israel's attack on Palestine and showing our support for Palestine of course. This was the reason why I was late and missed that mouth watering kambing golek. While at Shah Alam, a friend's house is at Klang so why not gave him a visit since the distance is not that far. Had macaroni, his own made biskut raya, which was so very the sedap, and pisang kaki. Even with so much food I consumed, dinner still needed to be taken. Initially, the plan was to go to Wangsa Maju to have Burger King, then I noticed an interesting restaurant next to it, Pop's Eatery, Comfort Food. Well the tagline sure does well thought because the food is comforting, but not for hungry people because of its very small portion. 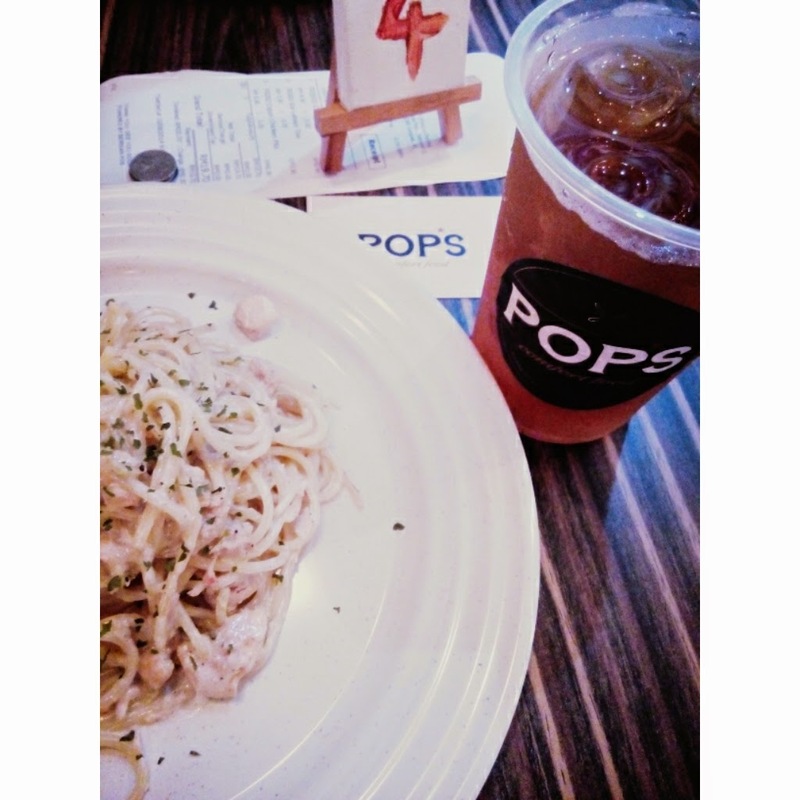 I had spaghetti bolognese which yeah, okay I guess. It's a bit dry, maybe it's just my taste to have it cair, the gravy. Nevertheless, the food was good. 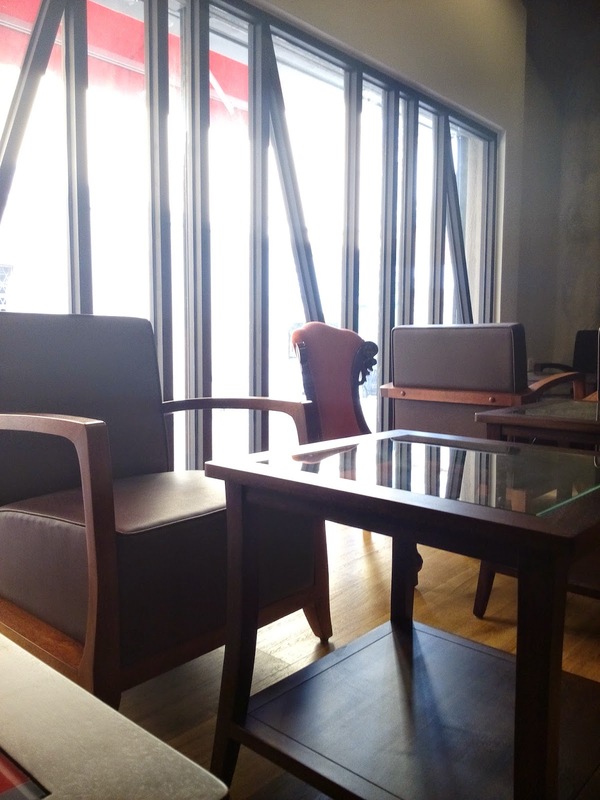 I think it is a local brand cafe, worth to support. Here's its facebook link. Had nothing to do today until a friend of mine ajak me to accompany him for a quick shopping of hardware. Tiba-tiba nak beli hammer and paku. LOL. 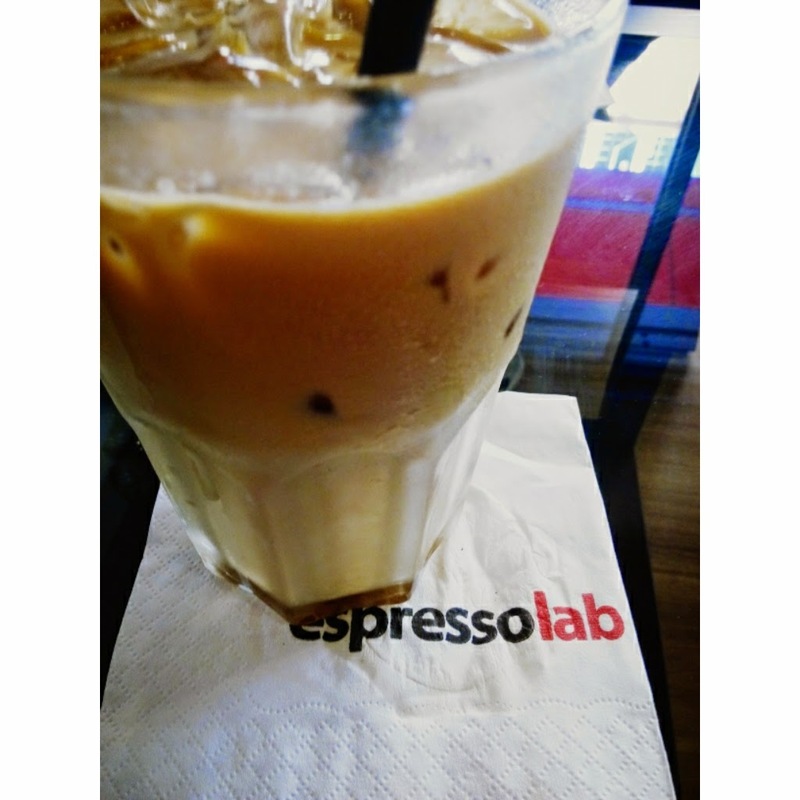 On our way back, we saw this coffee shop, Espresso Lab. Why not gave it a try and in we went. Made a quick Google-ing and found out that this is an international brand. It was a bit pricey. 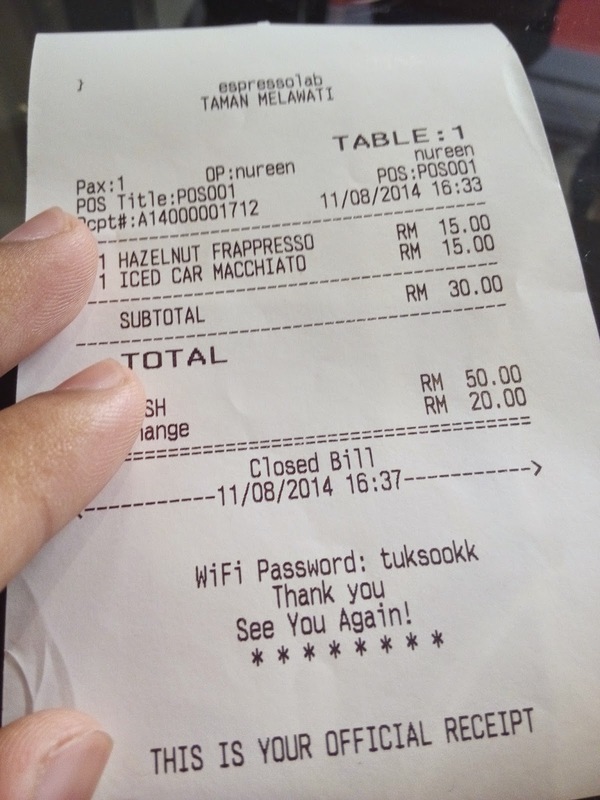 My drink, Iced Caramel Macchiato cost me RM15. While my friend had his Hazelnut Frappresso for the same price. They also have cakes and pastries. Prices are higher than Secret Recipe I should say. 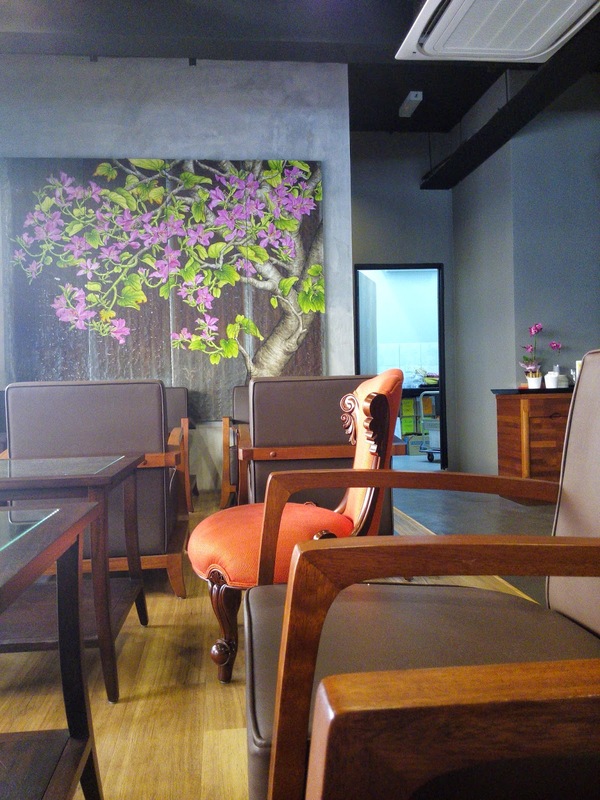 The cafe had astonishing and relaxing interior decor. I could only think about bringing my novel and spending an evening there, one hand holding a coffee and another a book. If you want to find other outlets, check it here. Honestly, I am trying to loose weight but this festive season is making me to add more. Pfffttt..